The bell over the entrance door at Frank’s Market rings with a steady trickle of customers on a recent afternoon. The amiable proprietor greets many of them by name. “You looking for mochi ice cream?” he asks a high-school girl. She stops in her tracks. “How did you know I wanted mocha ice cream?” she asks, bemused. He chuckles and points to the freezer case. The proprietor’s name is Rick, not Frank, though he probably gets called Frank a lot. Frank was Rick Koba’s dad. Frank and his wife Miyo purchased the little market at 209 East Nelson Road back in 1952, along with the adjoining house where Rick and his siblings were raised. Miyo still makes appearances at the store when she’s not gardening out back. “She likes to tell me what I’m doing wrong,” Rick jokes. 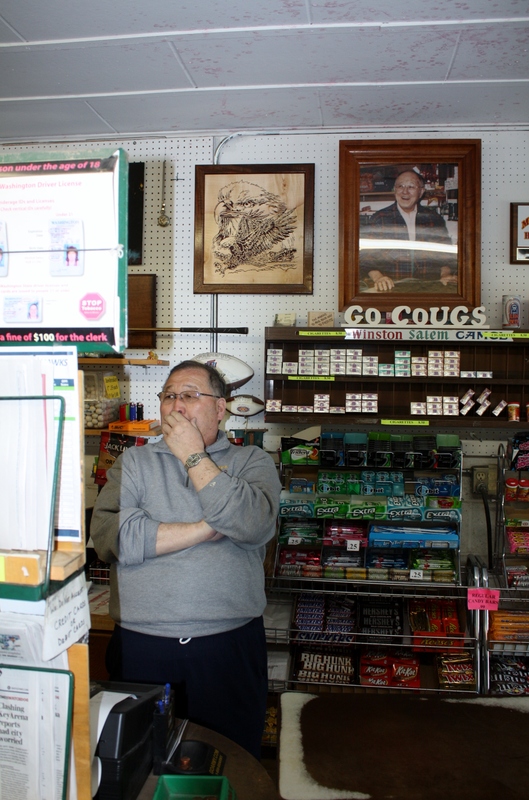 Rick Koba ponders the cash register beneath a photograph of his late father Frank. 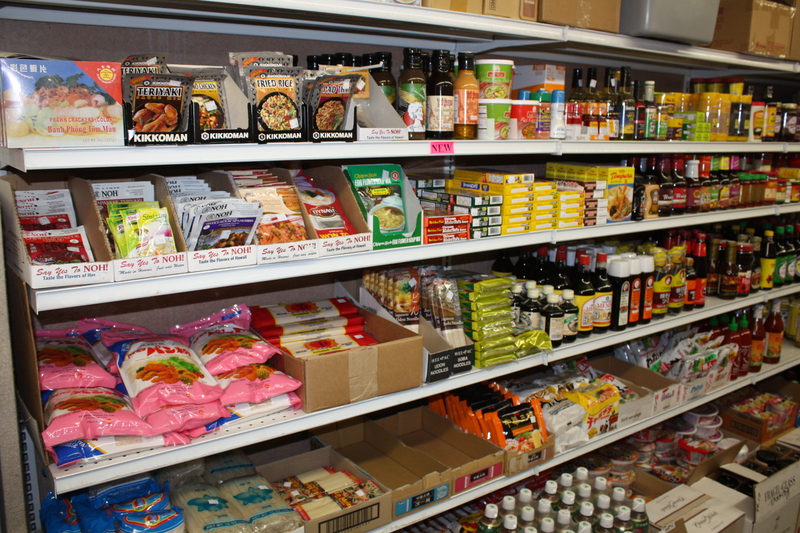 Over the decades Frank added lines of Japanese goods and delicacies to the store’s regular inventory, catering to the area’s Japanese-American community. Now, Rick is anticipating another bump in business with the arrival of Japanese engineers and crews as Mitsubishi Regional Jet flight test operations begin in Moses Lake. For those in the know, Frank’s Market is also the go-to spot for craft beer in cans and bottles. The little walk-in cooler where Frank use to hang meat is now crammed with interesting, unusual and excellent beers curated by Rick from west coast and local breweries. Peruse with pleasure as long as you can stand the cold! ← I’m a Moses Lake Realtor. What’s your superpower?